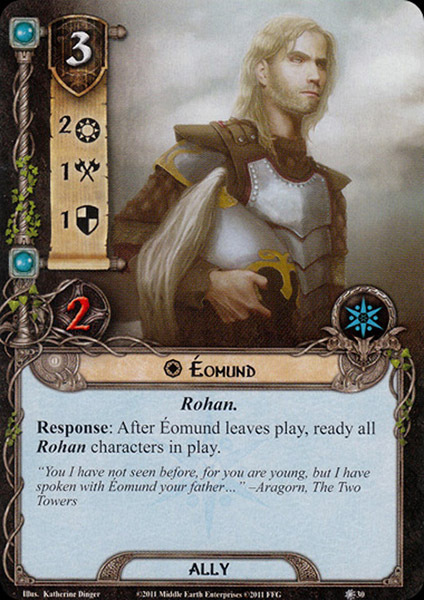 Éomund was the Lord of Aldburg and a Marshal of the Mark. Éomund was a descendant of Eofor, and dwelt in Aldburg. He married Théodwyn, the sister of the later King Théoden. Their children were Éomer and Éowyn, who were each to play a great part in the War of the Ring. A man from Eastfold, he was a dedicated marshal in charge of the east marches, mainly defending the regin against Orcish raids. 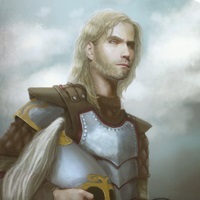 Éomund himself was slain in battle with Orcs in the Emyn Muil in T.A. 3002. Théodwyn grew ill and died shortly after, and their children were raised by Théoden.